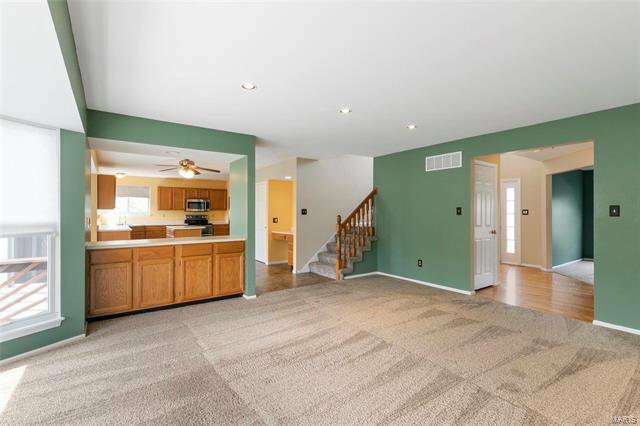 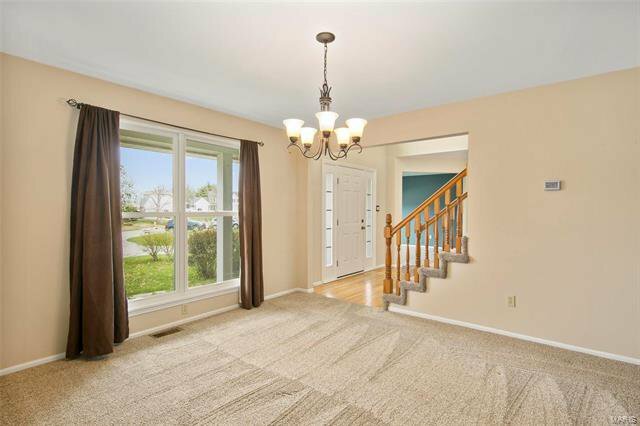 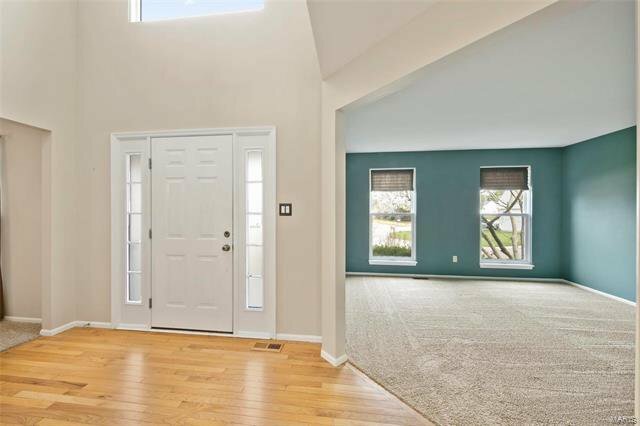 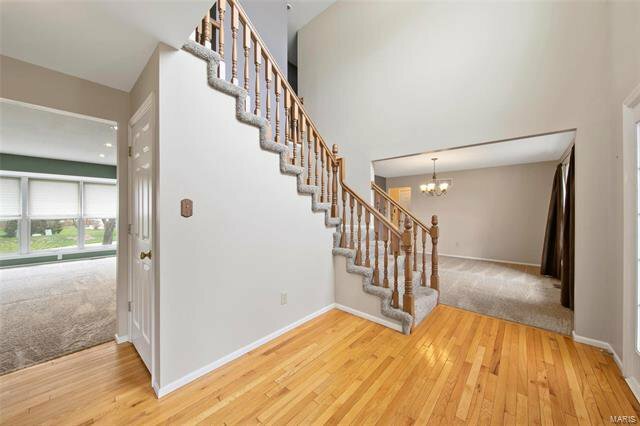 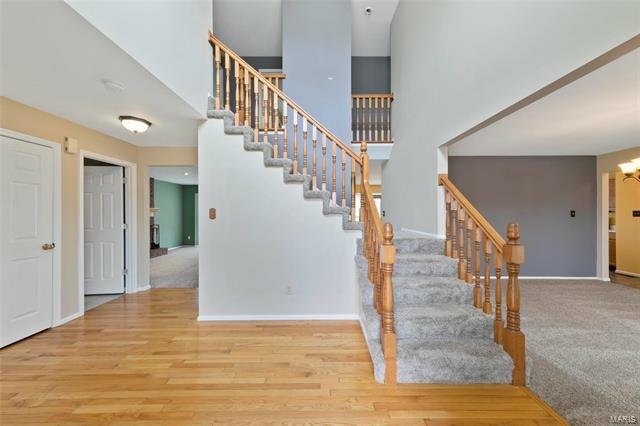 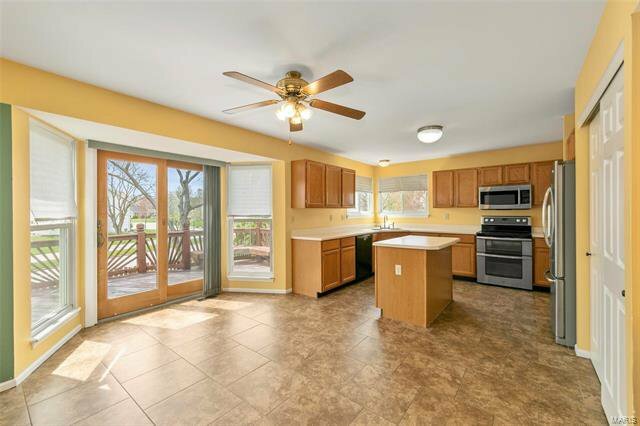 Spacious home sits at the end of the cul de sac & features lg 2 sty entry w/wood flooring & popular T-staircase, formal living & dining. 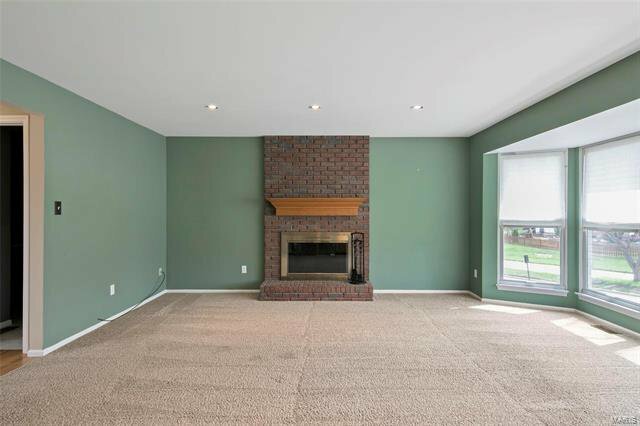 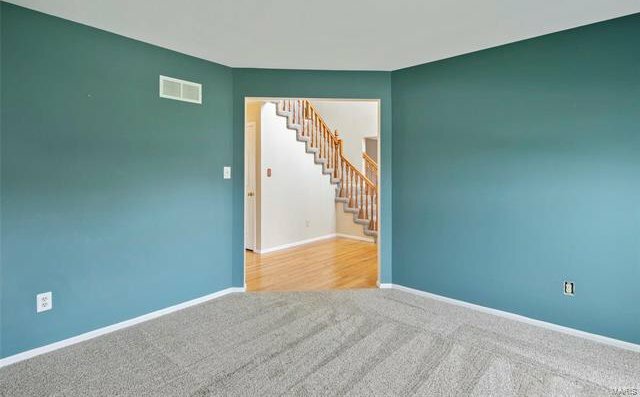 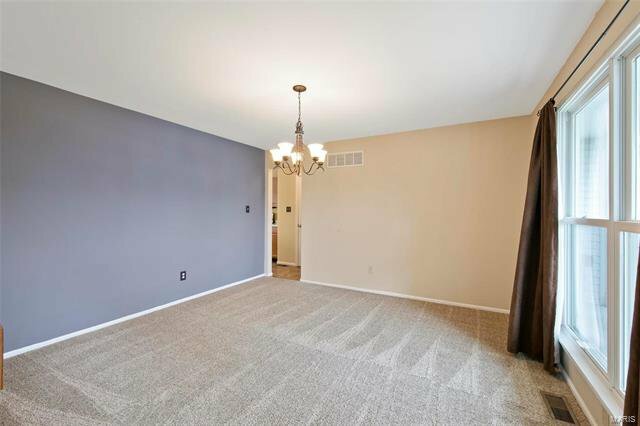 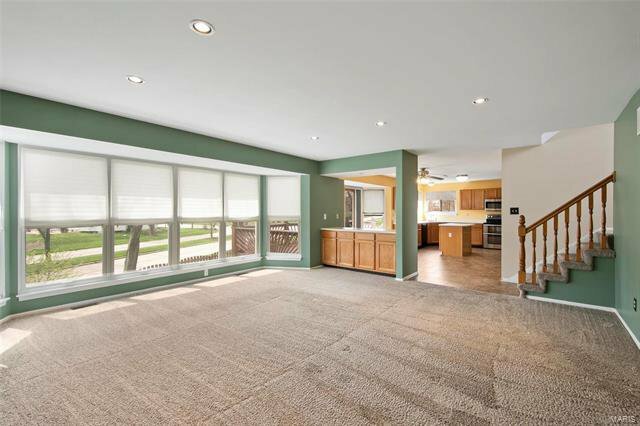 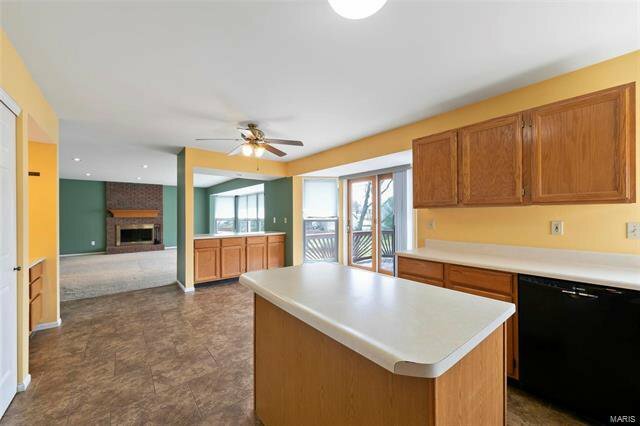 Large family room w/floor to ceiling brick W/B fireplace, bay window & drybar area which leads you into the kitchen/breakfast room featuring planning desk, bay window, center island, corner sink, abundant cabinet space, Main floor laundry w/utility sink. 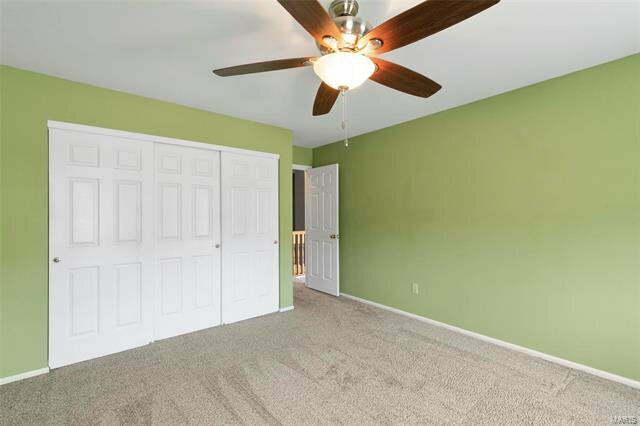 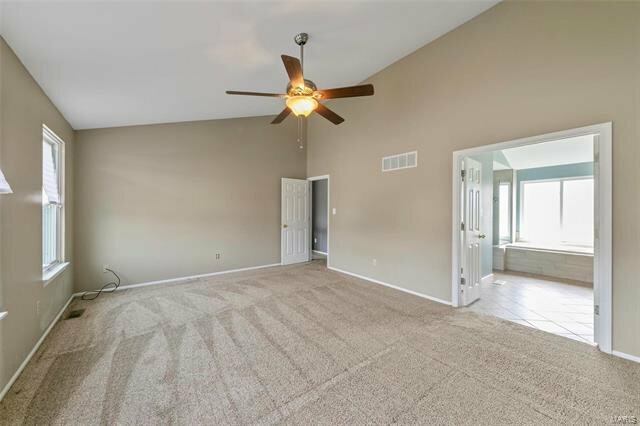 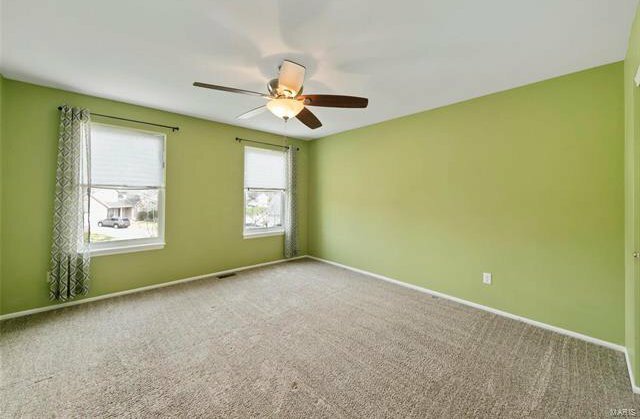 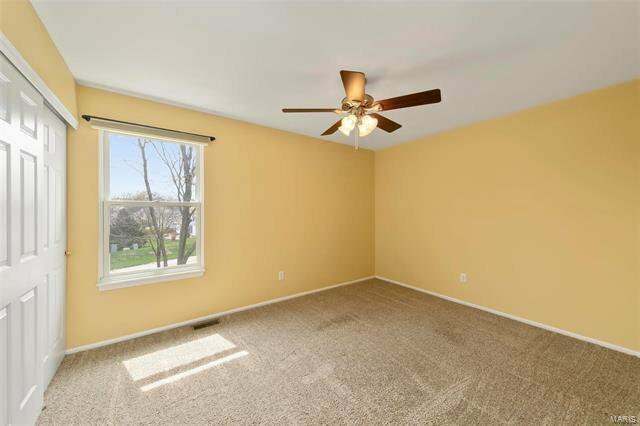 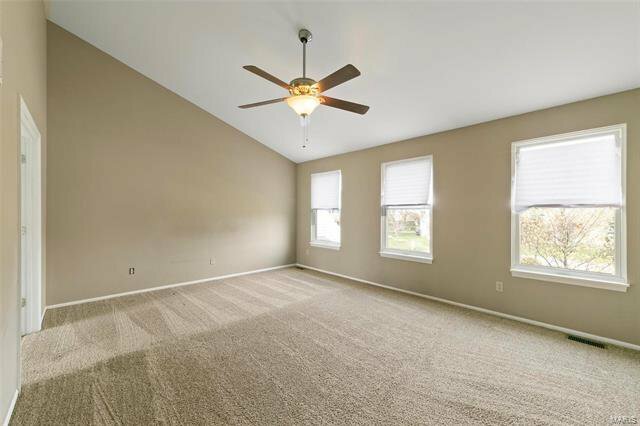 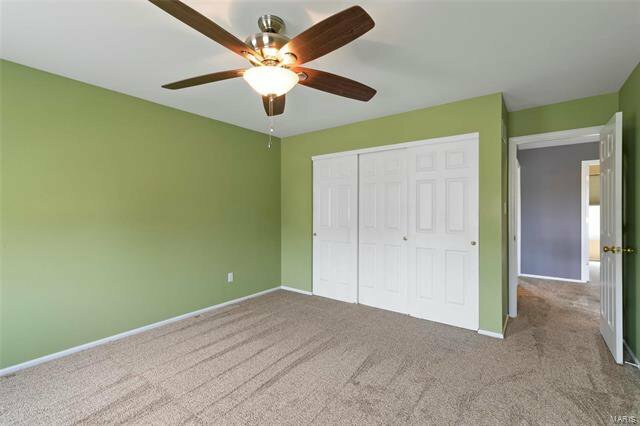 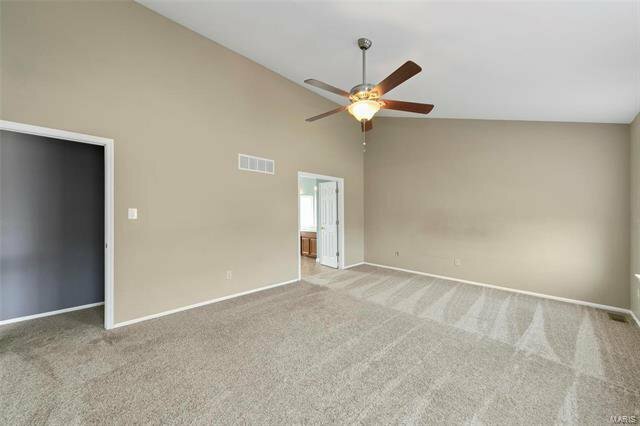 Generous sized secondary bedrooms all have ceiling fans. 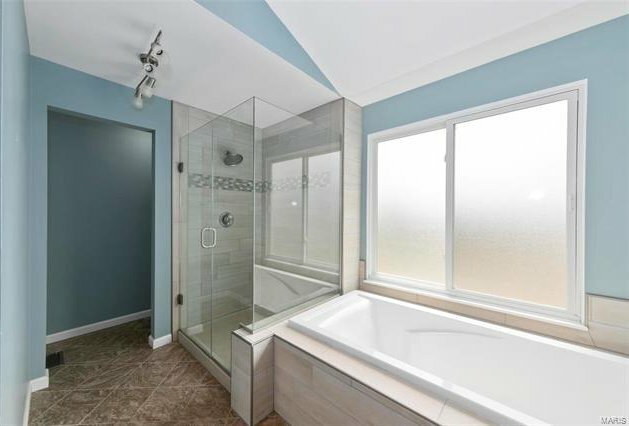 Master suite & luxury bath are both vaulted for a very dramatic effect. 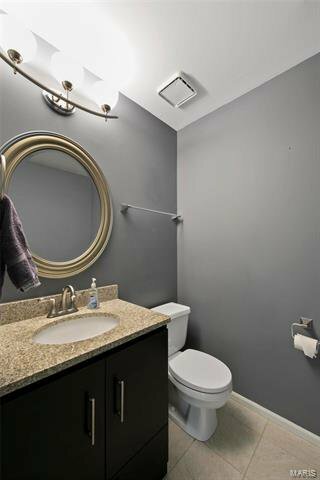 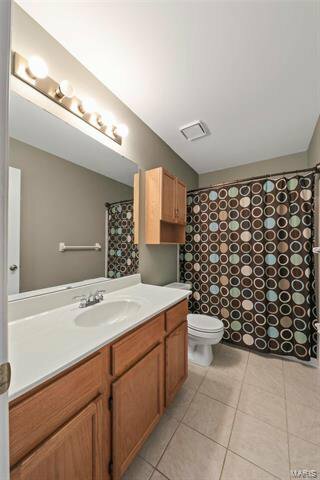 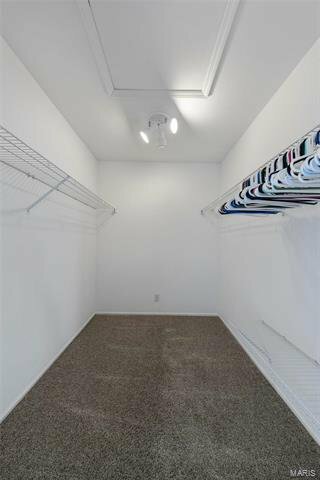 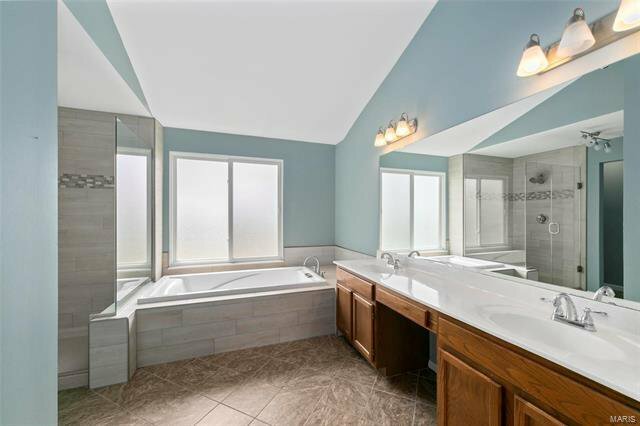 Lux bath has been updated and offers double sinks w/vanity space, separate tub & shower & lg walk-in closet. 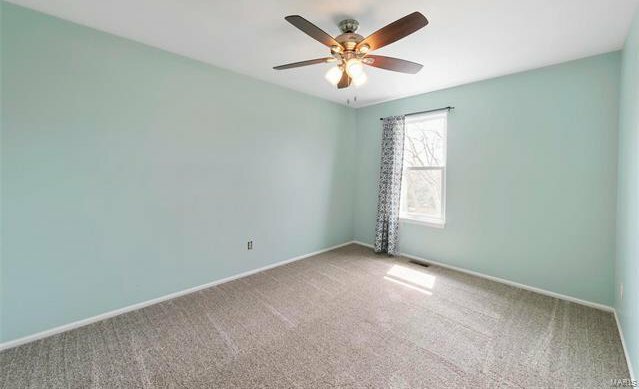 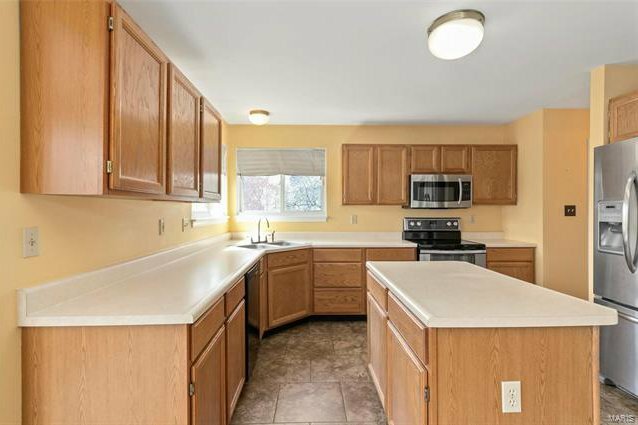 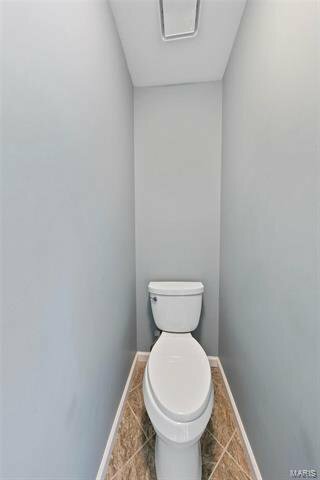 W/O basement w/rough-in plumbing. 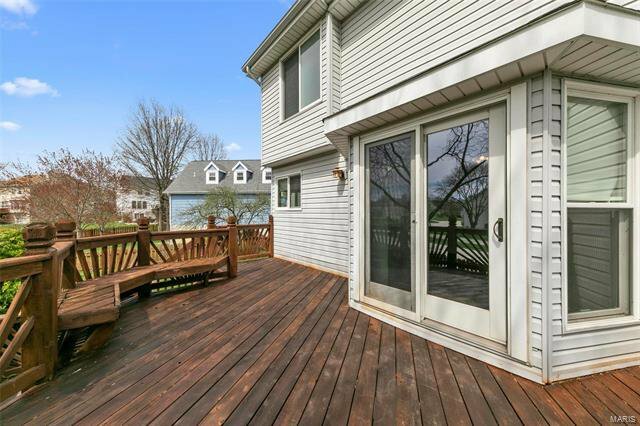 Deck overlooks fenced yard. 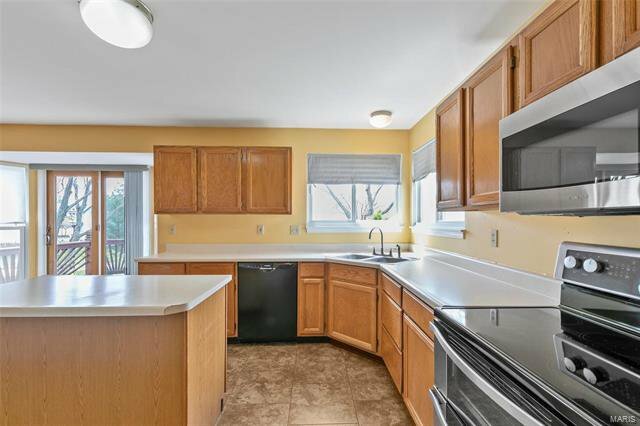 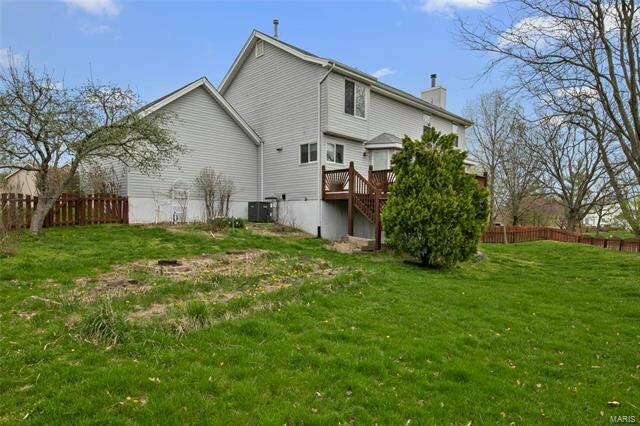 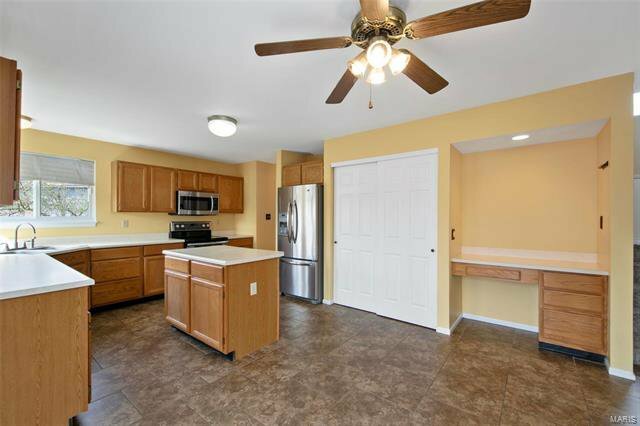 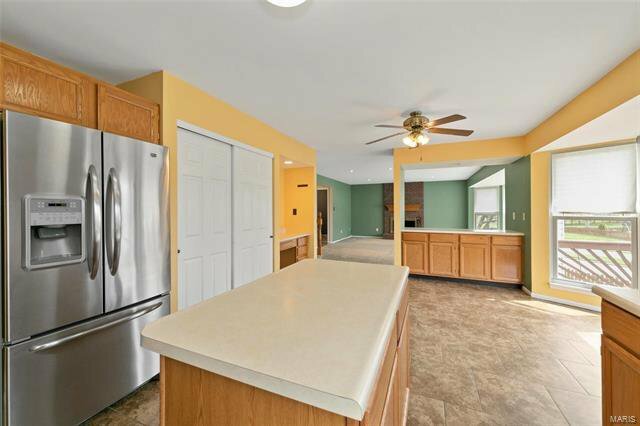 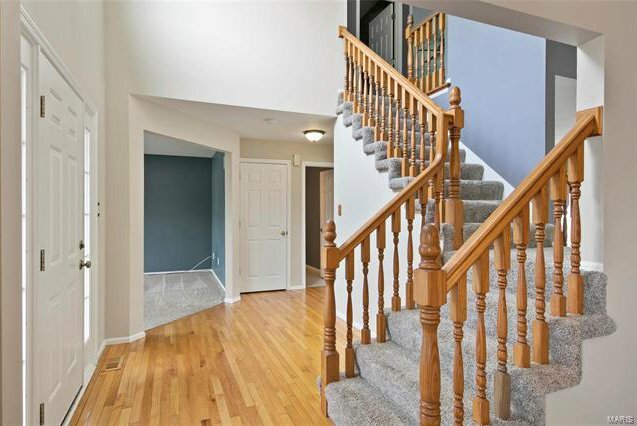 Home is occupied by original owner & has been nicely maintained. 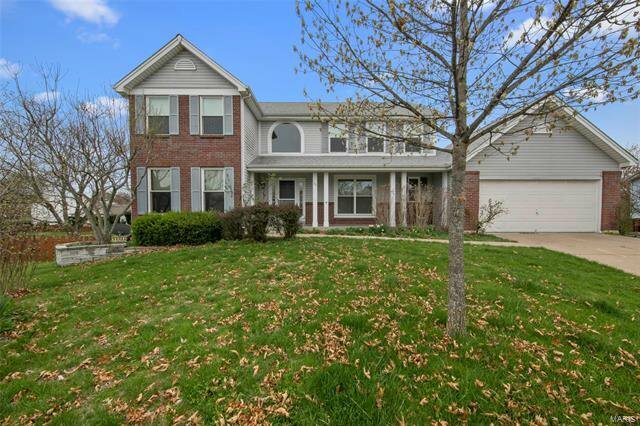 Subdivision features onsite elementary school, preschool, daycare & wonderful recreational amenities.